The University of Illinois Division of Intercollegiate Athletics and head coach Janet Rayfield announce the addition of assistant coach Nick Stirrett to the Fighting Illini soccer staff for the 2016-2017 campaign. A Champaign native, Stirrett will work with the team’s goalkeepers and take on the role of recruiting coordinator for the Illini. Stirrett comes to Illinois after spending the past season with the Penn State women’s soccer program. While at Penn State, Stirrett helped the Nittany Lions to their 17th Big Ten regular season title, sixth Big Ten Tournament title and their first-ever national championship. Prior to his time in Happy Valley, Stirrett served as the head men’s soccer coach at the University of Mount Union where he led the Purple Raiders to one of the most successful seasons in program history. His 2013 squad earned 12 wins on its way to a third place finish in the Ohio Athletic Conference and an appearance in the OAC tournament semifinals. 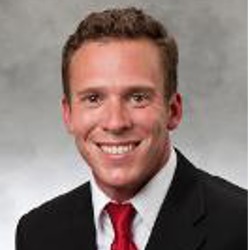 Stirrett brings with him seven years of experience as an assistant coach with both mens’ and womens’ programs as well as he previously held the position at Northern Illinois and DePauw University. While at Northern Illinois, Stirrett helped Jordan Godsey to the school record for career shutouts, a number that ranked 11th all-time in NCAA Division I history.